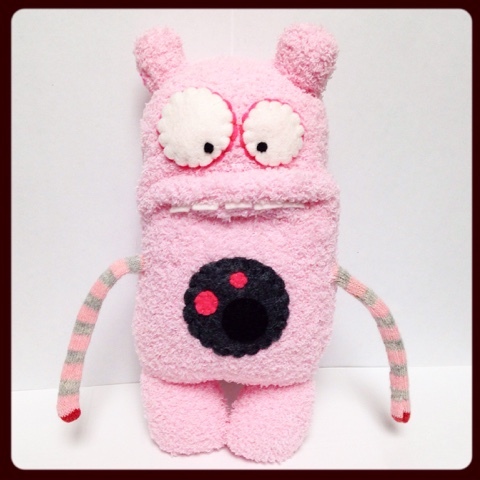 Up for grabs is Melly, this fluffy pink monster! Melly is about 8" tall, and is a little shy. She loves ham sandwiches, grape bubblegum, thumb wars, and sheds a little. 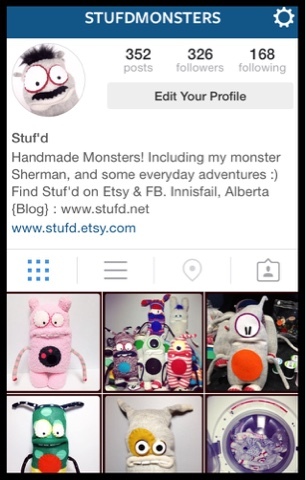 A lint roller is great to have on hand :) If you LOVE her, and are on instagram, all you have to do is be a follower of stufdmonsters, and comment on Melly's pic! Winner will be drawn on Sunday (July 26th).